Two Wesleyan students were inducted into the 2019 American Society for Biochemistry and Molecular Biology (ASBMB) Honor Society in March. They are among only 33 students from around the country who were eligible to join the society this year. 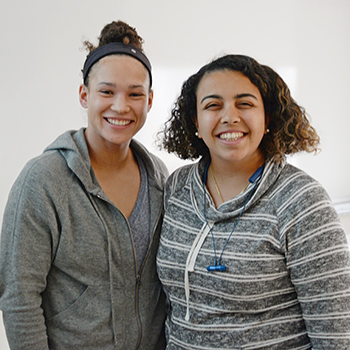 The inductees, Mackenzie Mitchell ’20 and Edelina (Lina) Marzouk ’19 are both majoring in molecular biology and biochemistry and the Science in Society Program. They are both members of the ASBMB Student Chapters, have a GPA of over 3.4 on a 4.0 scale, and have demonstrated exceptional achievement in academics, undergraduate research, and science outreach. The students were recognized by the Molecular Biology & Biochemistry Department during a reception on March 27. Mackenzie Mitchell says the “dynamism of scientific study, as well as the complete integration of problem-solving,” have been the greatest influences over her decision to study science. Since enrolling at Wesleyan, Mitchell has furthered her interests by participating in research with Associate Professor of Molecular Biology and Biochemistry Amy MacQueen’s research group. The Wesleyan University winter athletic teams put a total of 73 student-athletes on the 2019 NESCAC Winter All-Academic Team, while eight Cardinals earned All-Sportsmanship honors as announced by the conference. In order to earn a spot on the All-Academic Team, a student-athlete must have reached sophomore academic standing and be a varsity letter winner with a minimum GPA of 3.50 or equivalent on a 4.0 scale. Transfer students are eligible as long as they have completed at least one year of coursework at the institution. 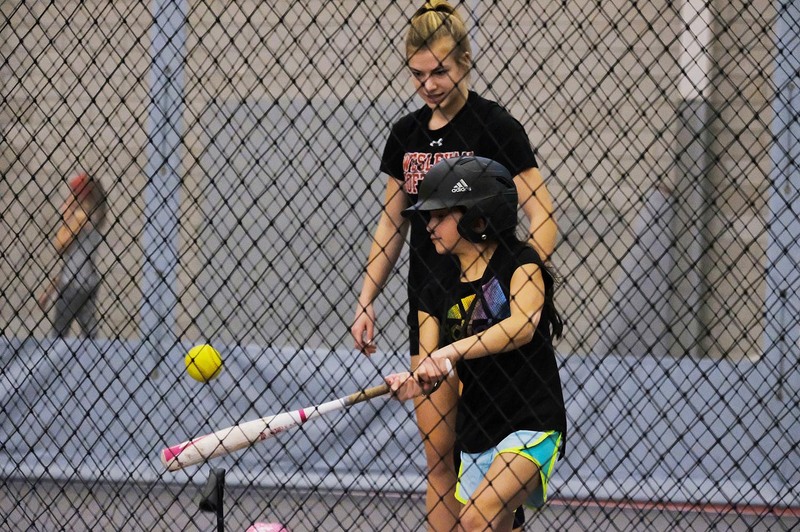 Wesleyan’s Athletic Department hosted its fourth annual National Girls & Women in Sports Day celebration on Jan. 26 at the Freeman Athletic Center. 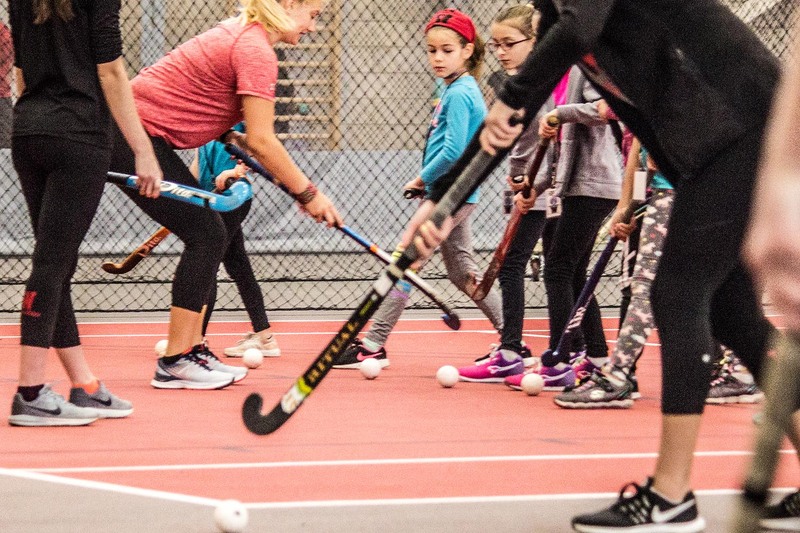 Wesleyan coaches and student-athletes taught local girls in kindergarten through sixth grade about various sports, including track, soccer, softball, field hockey, volleyball, lacrosse, and more. In addition to the lessons, participants had the opportunity to watch a women’s basketball game and a women’s ice hockey game. The women’s ice hockey team also hosted a “Skate with the Cardinals” where players welcomed fans and the girls to join them on the ice. Pizza was provided to all participants. The Wesleyan fall athletic teams put a total of 56 student-athletes on the 2018 NESCAC Fall All-Academic Team, while 8 Cardinals earned All-Sportsmanship honors. The women’s soccer team led the charge for the Cardinals, with 18 honorees, while the football program saw 11 players earn the achievement. The field hockey team placed 8 athletes on the All-Academic unit, while women’s cross country (7), volleyball (5), men’s soccer (4), men’s cross country (2), and women’s golf (1) were all represented. 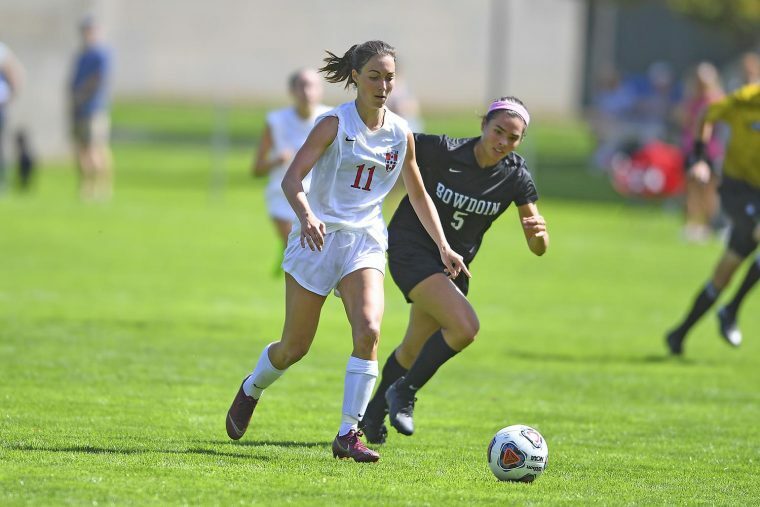 Lauren Goetzman ’19 (women’s soccer) was named to the All-Academic Team for the third-straight year and was also on the All-NESCAC squad. Additionally, there were 14 other individuals making their third appearance on the Fall All-Academic Team: Rhoen Fiutak ’19 (women’s cross country), Zach Foster ’19 (football), Nicole Galli ’19 (women’s soccer), Olivia Gorman ’19 (women’s soccer), Meg Harrop ’19 (women’s soccer), Evan Hull ’19 (football), Meghan Jain ’19 (field hockey), Sophia Linguiti ’19 (women’s soccer), Madeleine Lundberg ’19 (volleyball), Bobby Nevin ’19 (football), Ella Sinfield ’19 (women’s soccer), Joe Wilson ’19 (football), Kinsey Yost ’19 (women’s soccer), and Liz Young ’19 (women’s soccer). The NESCAC All-Sportsmanship Team recognizes student-athletes from each varsity sport who have demonstrated outstanding dedication to sportsmanship. These student-athletes exhibit respect for themselves, teammates, coaches, opponents, and spectators. Julia Mitchell ’19 paced the women’s cross country team with a first-place finish at the Little Three Championship on Sept. 8 in Amherst, Mass. Although Williams College ultimately won the Little Three title, the Cardinals had four runners place in the top 10 as they finished in second place, ahead of Amherst College. Little Three Championships are declared when a varsity team from Wesleyan, Williams, and Amherst defeats the other two rivals. The fierce competition among the schools dates back to at least 1910. In 2017-18, women’s crew, volleyball, men’s basketball and men’s lacrosse won Little Three titles. Mitchell, of Bellevue, Wash., completed the 4k course with a time of 15:33.9, which was three seconds ahead of second-place finisher Emma Herrmann of Williams. For her efforts, NESCAC named Mitchell the Performer of the Week on Sept. 10. Mitchell capped off last season with an impressive ninth-place finish at the 2017 NCAA Division III New England Regional Championship meet. 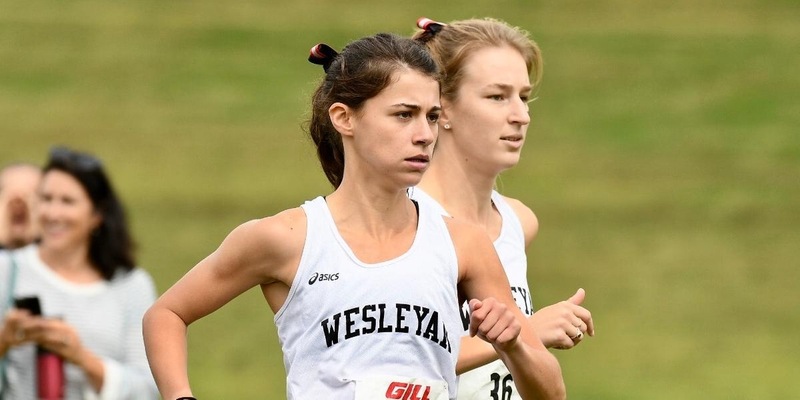 During head coach John Crooke’s 19-year career at Wesleyan, the women’s team has qualified for the NCAA Division III Championship three times and has placed in the top 10 for the past two seasons at the New England Regionals. Mitchell is one of eight runners to return to the women’s cross country team this year. On Sept. 29, the team will head to Lehigh University for the 45th Paul Short Run, one of the largest cross country meets in the nation. Last year, Mitchell tallied a seventh-place nod, completing the 6k course with a time of 22:35. Read more in the Wesleyan Athletics press release. 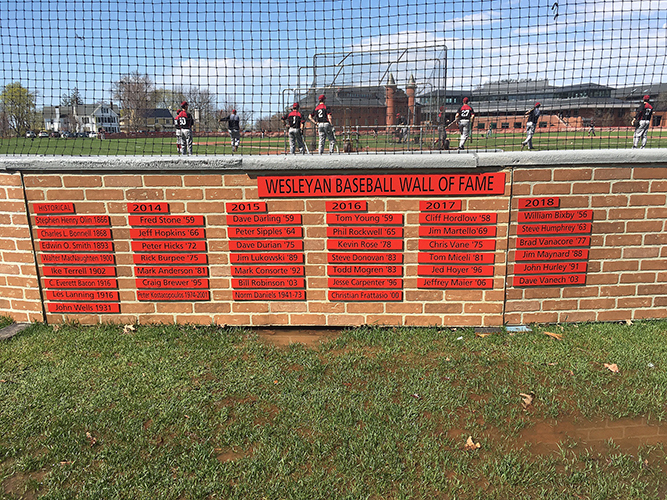 On May 4, Wesleyan Baseball Coach Mark Woodworth ’94 inducted six new members into the Wesleyan Baseball Wall of Fame. Also inducted was a historical class of eight alums who graduated between 1866 and 1931 who were instrumental in the early years of the program. This year, a new brick backstop was built not only for the field, but to serve as an actual “Wall” for the Wall of Fame. 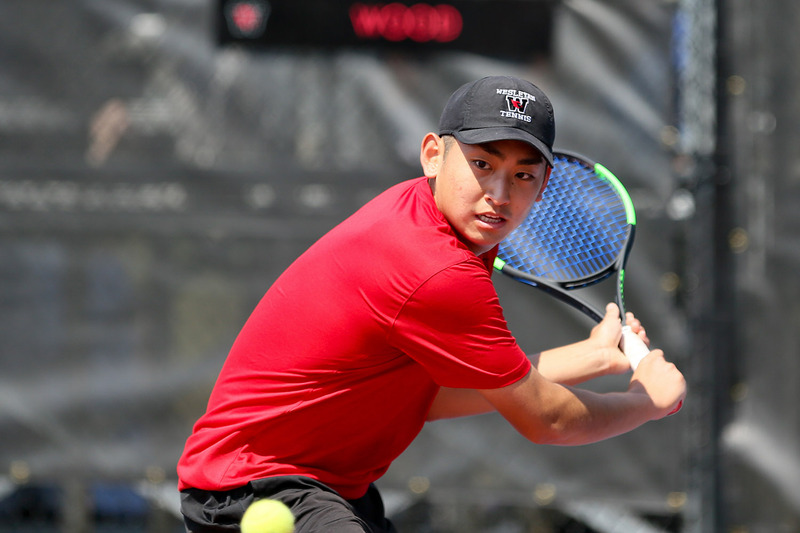 On May 26 Eudice Chong ’18, a member of the Wesleyan tennis team, did something that no other collegiate tennis player—in any division—had done before: She won her fourth consecutive National Collegiate Athletic Association Singles Championship. And to add a twist to that already thrilling game, Chong, ranked number one on Wesleyan’s team, played the final match against her teammate, doubles partner, and friend, Victoria Yu ’19, ranked second on the team. Back on campus following the victory, Coach Mike Fried reflected on the program and the experience. As an undergrad at Brown he had played on their tennis team and then enjoyed a stint as a professional player. Most recently, Fried had spent 10-plus years as a stock trader and asset manager in New York City before signing on as head tennis coach of Wesleyan’s men’s and women’s program in 2013 (“Wall Street allowed me to figure out how I wanted to be spending my time”). After Commencement, Chong, who majored in psychology with a minor in the College of East Asian Studies, headed home to China. There, she’ll play tennis at the professional level. The Wesleyan Connection caught up with her for a Q&A in New York City, where she was spending a few days before her flight. Q: Will you talk about the experience of winning that fourth NCAA singles championship? What was it like to compete against your teammate, friend, and doubles partner Victoria Yu? 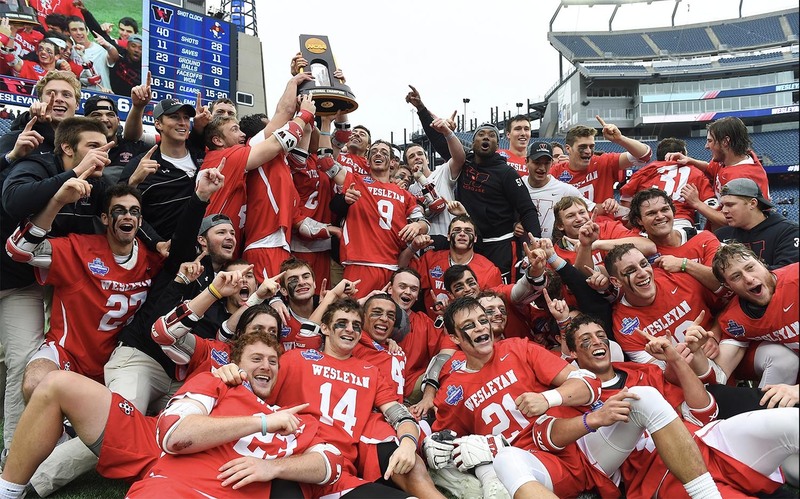 On May 27, 2018, Wesleyan lacrosse won its first National College Athletic Association Championship, defeating Salisbury University, 8–6 at Gillette Stadium for the Division III title. When Lacrosse Head Coach John Raba, a graduate of the University of New Haven, began at Wesleyan in 1997, he was 25 and an assistant coach with the football team. Lacrosse—now his sole focus as head coach—was something additional that first year. In a Q&A, Raba describes the growth of Wesleyan lacrosse—and what was special about the 2018 team. Q: What words describe the Wesleyan lacrosse program? A: Wesleyan lacrosse is an extremely disciplined team, focused on progressing each and every day. If we are disciplined and focused on getting better each and every day we feel we can compete with anyone in the country. Q: And how have you built this team in the years since you started? The Cardinals played in front of almost 21,200 fans May 27at the NCAA National Championship Game at Gillette Stadium. The 2018 spring season will go down as the greatest in Wesleyan University Athletics history. 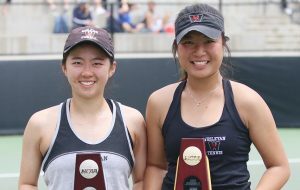 At left, Victoria Yu ’19 and Eudice Chong ’18 played each other at the NCAA Division III Individual Championships. On May 26, Eudice Chong ’18 of the No. 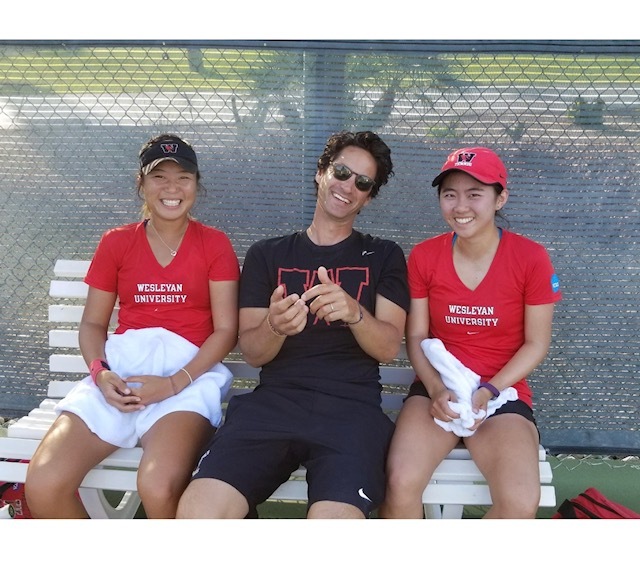 5-ranked Wesleyan University women’s tennis team made history at the NCAA Division III Individual Championships in Claremont, Calif., as she became the first person to win four NCAA Singles Championships in any division of college tennis. 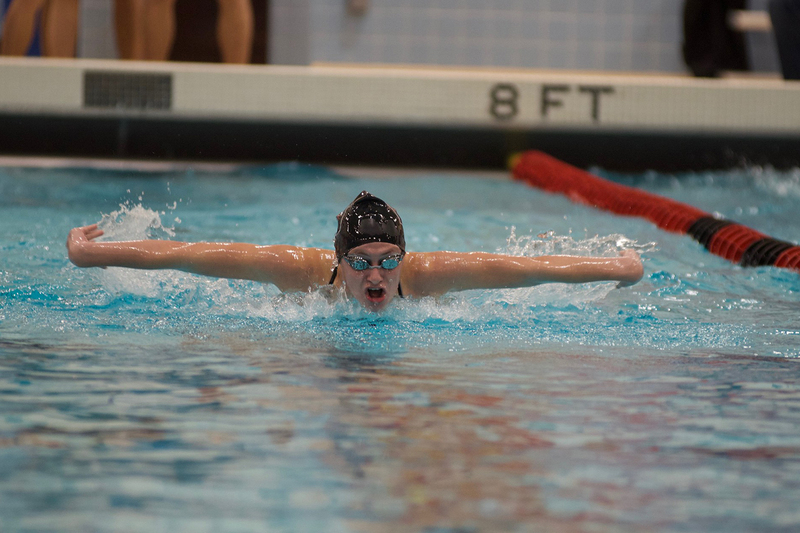 She competed against her teammate, Victoria Yu ’19, in the finals while the duo also finished as runner-up in the doubles bracket. As a team, Wesleyan women’s tennis reached the quarterfinals of the NCAA Championships for the first-time ever. Read a Q&A with Chong and Coach Mike Fried here. 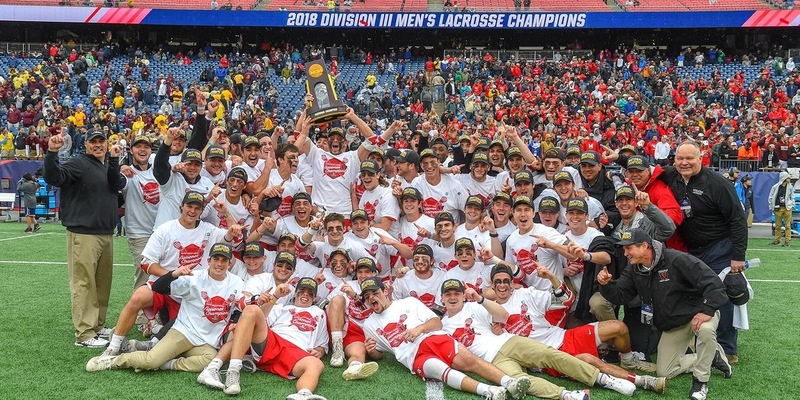 And on May 27, the men’s lacrosse team won the 2018 NCAA Division III Men’s Lacrosse Championship with an 8–6 victory over No. 3 Salisbury University at Gillette Stadium in Foxborough, Mass. Senior Harry Stanton, the program’s all-time leader in goals, was named the Most Outstanding Player as he scored two more, including an assist on another. Read a Q&A with Coach John Raba here. The Wesleyan University spring athletic teams put a total of 125 student-athletes on the 2018 NESCAC Spring All-Academic Team on May 18, while 11 Cardinals earned All-Sportsmanship Team honors as announced by the conference office May 17. To be named to the All-Academic Team a student-athlete must have reached sophomore academic standing and be a varsity letter winner with a minimum cumulative GPA of 3.40. Transfer students are eligible as long as they have completed at least one year of coursework at the institution. Tufts ranked first in the conference with 157 athletes on the All-Academic list, while Middlebury checked in at the No. 2 slot with 131. 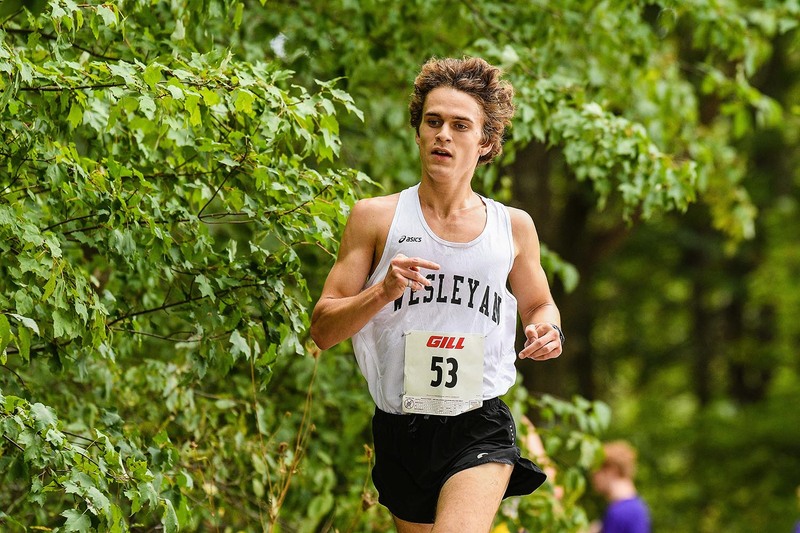 Little Three rivals Wesleyan and Williams were tied for the third-most selections with 125 each, as a total of 1,165 individuals from the 11 NESCAC schools earned this honor. The women’s crew team led the charge for the Cardinals with 19 honorees, while the women’s track and field program saw 16 players earn the achievement. Men’s lacrosse, men’s crew, and baseball each placed 15 people on the All-Academic unit, while men’s track and field (13), women’s lacrosse (11), golf (8), softball (7), women’s tennis (4), and men’s tennis (2) were all represented. 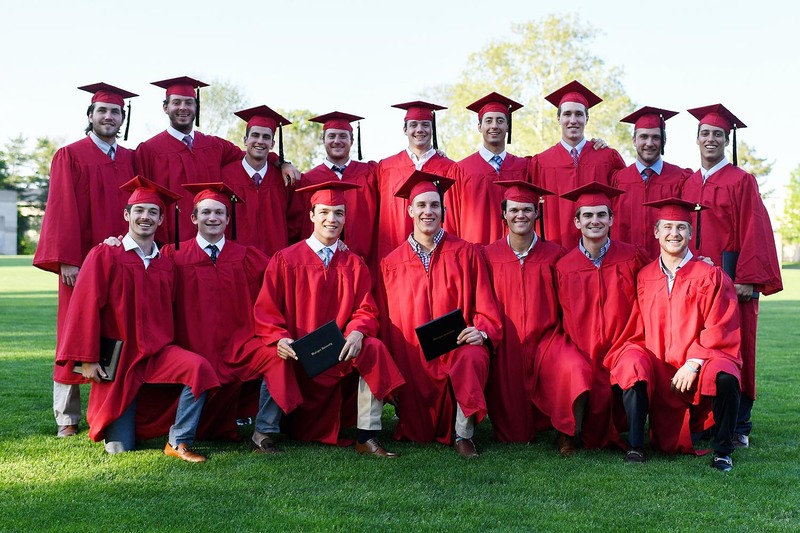 Graduation came early this year for men’s lacrosse players for the best possible reason. With the team competing in the NCAA championship game on Commencement Sunday for the first time in the program’s history, graduating students missed the regular ceremony. The graduating seniors, and one student receiving an MA in graduate liberal studies, received their degrees at a special ceremony in the Admission building, attended by President Roth and Provost Joyce Jacobsen, on Wednesday, May 23. Also present were the families of the graduates, as well as Director of Athletics Mike Whalen and Vice President for Student Affairs Michael Whaley. On May 2, the sixth annual Scholar-Athlete Dinner was held in Beckham Hall to honor top scholar-athletes in all 29 varsity sports. Francine Rivkin ’78, a former five-sport athlete at Wesleyan and an ardent supporter of Wesleyan Athletics, was honored with the Athletic Advisory Council’s Cardinal Award. 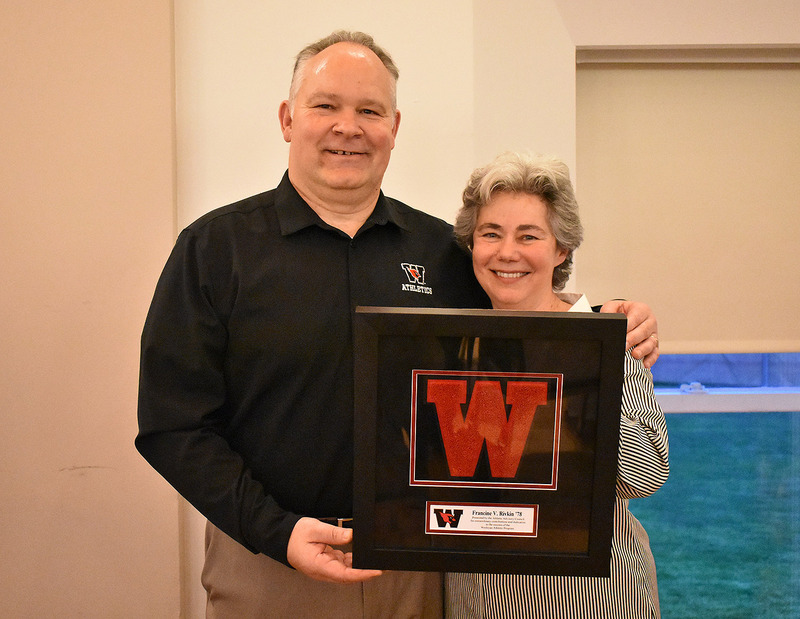 Mike Whalen, the Frank V. Sica Director of Athletics and chair of Physical Education, presented the award to Rivkin in recognition of her extraordinary contributions and dedication to the success of the Wesleyan Athletics program.